Fibre optic broadband building Cityfibre has today joined forces with wireless infrastructure company Arqiva to construct the UK’s “largest” multi-million pound pilot of a new wholesale, 5G ready Small Cell infrastructure in the London Borough of Hammersmith and Fulham. Mobile operators rejoice. We first spotted the construction of new street cabinets and wireless equipment on existing lampposts in the borough several weeks ago (thanks to one of our observant readers). The new kit was unmarked and existed in areas where a number of other broadband ISPs were already deploying Fibre-to-the-Premises (FTTP), which made it particularly difficult to track down the source. On closer inspection we noted that a phone number was present on the street cabinets, which was owned by Arqiva. After a bit more detective work we discovered that the roadworks database listed the responsible party as Cityfibre, although Arqiva seemed to be the contractor. This proved to be quite interesting because so far Cityfibre has not built or announced anything for London. Thankfully the mystery has now been revealed. Under the new deployment Cityfibre and Arqiva are creating a new 15km high density fibre network, which is multi-operator capable and provides the bandwidth for Mobile Network Operators (O2, Vodafone, EE or Three UK) to explore advanced technology including centralised C-Ran architecture and 5G (in theory they could also be used to boost 4G signals and public WiFi too). “This has been an invaluable exercise to demonstrate the capability of our fibre networks to support the next generation of 5G small cells and services. 5G networks will only work on fibre and a new modern infrastructure is needed at scale to support them. “This pilot network is a massive step forward for mobile and fixed wireless connectivity in London. 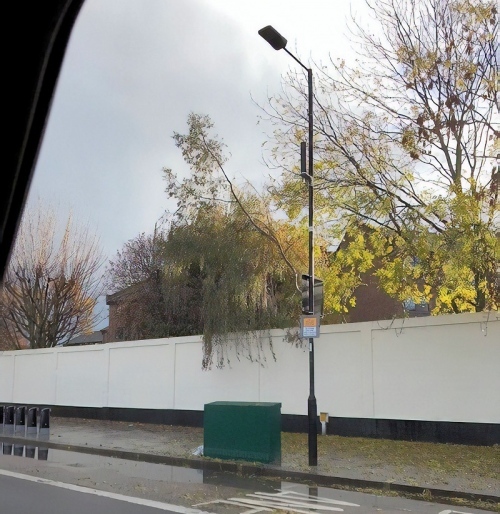 We are showing that ubiquitous high-speed connections using dark fibre and small cells are possible and we are delighted to be leading the way with our pilot in Hammersmith & Fulham. As demand for data continues to increase exponentially, the pressures on networks will continue to grow and densification using street furniture and small cells is critical to deliver the network of the future. As hinted above, this deployment appears to be at least partly funded by Cityfibre’s recently announced funding raise of £2.5bn (here), which is primarily being used to help build their 1Gbps capable Fibre-to-the-Home (FTTH) broadband ISP network to cover 5 million premises in 37 UK cities and towns by the end of 2024 (supported by Vodafone). London is not currently on that list of 37 cities. We should point out that this isn’t the first time that Cityfibre have built a fibre optic network to support capacity for mobile operators. Back in 2014 they also established a fibre optic network in Hull (East Yorkshire) to serve EE and Three UK (here), which was later opened up to local businesses (Pure Speed). However the deployment in London is a bit different. The borough of Hammersmith and Fulham is home to around 180,000 people living in about 84,000 households in an area of 6.3 square miles. 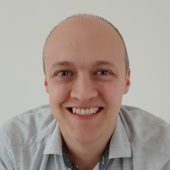 The density of its population is expected to put extra pressure on telecoms connectivity as demand for voice and data continues to grow exponentially, which is where a dense network of fibre-fed small cells could help. 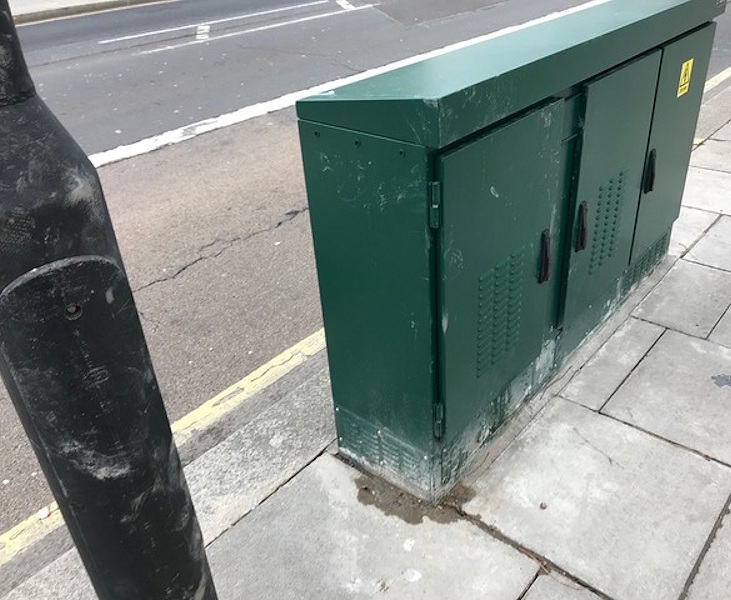 Some readers may recall that Arqiva was first awarded the concession contract with Hammersmith and Fulham in 2014, allowing the company to make use of the borough’s street furniture – including lampposts – to place communications equipment. The company has since won similar contracts across 13 other London boroughs (Barnet, Brent, Camden, Haringey, Harrow, Hounslow, Islington, Kingston-Upon-Thames, Lambeth, Merton, Richmond upon Thames, Waltham Forest and Wandsworth). Suffice to say that if this pilot goes well then Cityfibre may well be building a lot more fibre optic cables around London. In other parts of the UK we’ve seen such networks eventually being expanded to serve local homes and businesses with more than just wireless connectivity (e.g. FTTP), but at present we understand that this pilot is purely focused on backhaul capacity for small cells. One other thing worth mentioning is that we understand O2 (Telefonica UK) will be the first to make use of this new pilot network, which shouldn’t come as much of a surprise given that earlier this year they signed a major new small cell network deal in London with Arqiva (here). Under that plan the operator will aim to install up to 300 new small cells by 2020, which is roughly when the first large-scale commercial 5G deployments are set to start. The tiny cross-section required for small cell C-RAN certainly vindicates CityFibre duct investment in cities where they have widely dug. Ideally LA ducts are made available at commercial rates,but they are sometimes advised that richer pickings will emerge. There are for sure opportunities for closer LA collaboration however there are echos of the Mentor Mobile Centric Fibre model making use of a matrix of duct/fibre sources. There is some new dig, but its mainly DPA/PIA – no council duct has been used. There are 2 fibre rings within the network.